Present in the studio for this c. September 1950 broadcast were Anita Gonzales, Bob Kirstein, Floyd Levin, and “Dean” the programme announcer. This one-hour episode, transcribed by Brian Goggin and Mike Meddings, includes recorded music by Jelly Roll Morton, as selected by Bob Kirstein and Floyd Levin for the broadcast, together with a brief example of Anita’s youthful sounding voice. Special thanks to Brian Goggin, Prof. Lawrence Gushee, Richard Hadlock, Floyd Levin and Leon Oakley. For more information get our leaflet at your Social Security office. The time in five seconds — 10 p.m.
All right Jelly, if you insist. Say, what’s this, er, DOCTOR JAZZ? I see a couple of Jelly Roll Morton records here. Surprise tonight, or something? Oh, we got something real special. Wonderful. Well, okay. It’s, er, one hour of the best in recorded jazz music on DOCTOR JAZZ, which comes to you each Saturday from ten to eleven. Now here he is for the next one hour — the man that Jelly requested — DOCTOR JAZZ. 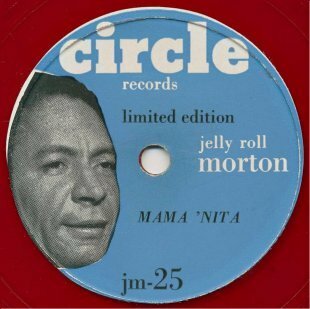 And that was Jelly Roll Morton playing “Mama ’Nita.” And now we have a very special treat this evening for our listeners to DOCTOR JAZZ. We have with us . . . the lady that inspired that composition and many others of Jelly Roll Morton’s composition — Anita Gonzales Morton. Come on Anita and say hello to the folks. Anita you, er, you said you grew up, I believe, in New Orleans, with Jelly? Yes, we went to school together. Uh-huh. And, er, you, er, when did he first started playing piano that, er, that you knew of? I presume he was nine years old. When he was nine years old? Uh-huh. Well, this next number we have on the turntable is “Kansas City Stomps.” Can you tell us anything about that? Well, I’d either like it — some parts of it — and the other part I wouldn’t. And that way he’d, er, write his tunes. And, er, of course, I had to either say they were all right, or I’d, er, critic them. He’d get inspiration . . .
. . . in the middle of the night? In the middle of the night, usually. He’d always get his ins . . . inspirations. “Kansas City Stomps,” I believe he said, in the Library of Congress series, was named after a bar in Tia Juana. Er, many people, of course, saying it’s named after Kansas City. But, er, Jelly explained that he was working down there in Tia Juana and, er . . .
. . . a friend of his ran a bar called the Kansas City Bar . . . Yes, I was singing there at the time.
. . . and that was where it got it’s name. Is that right? 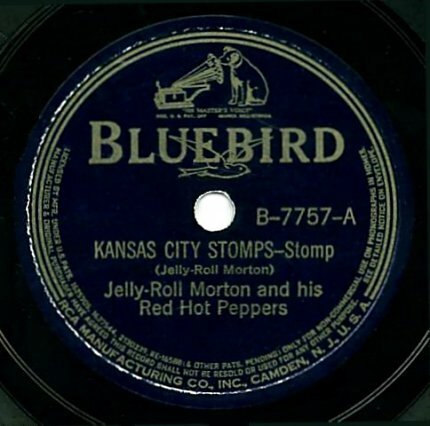 And that was the well-known “Kansas City Stomps.” Of course, Jelly always said that any man playing the piano should give an imitation of a band, and I don’t think anyone ever did it any better than he did. 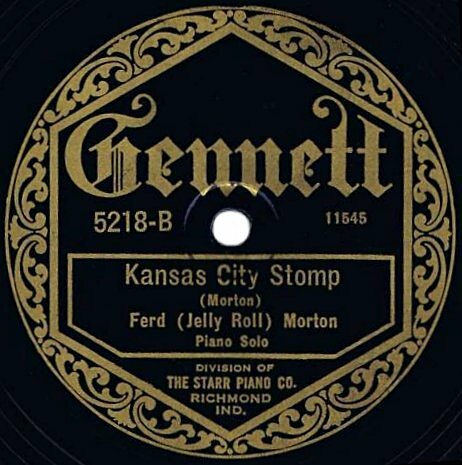 A little later on we’ll play the band version of “Kansas City Stomps” and you can just see where Jelly takes all the parts — I mean trumpet, clarinet, trombone, right on down the line — and plays them all on the piano. He really sounds just about like a band. Well, Anita this next number is “Dead Man Blues” and is sort of a imitation of a New Orleans funeral. And, er, I believe you had something to do with the composing of this tune? On the Library of Congress, er, I think about three sides are devoted to, er, a New Or . . . description of a New Orleans funeral. And, of course, this is the, er, the junior version. But, er, I don’t believe there are any lyrics on this side. Er, some of the musicians playing on this side are George Mitchell. Did you know George? He plays trumpet.
. . . I know. But, er, we’ll go on here with “Dead Man Blues” and see just what, er, it was like going into a New Orleans funeral parade. I know, er, Jelly’s quite visib . . . vivid in his description, er, of, er, it seemed to me there was more to eat [laughs] at the funeral than anything else. Yes, they had plenty to eat . . . Plenty to eat and drink.
. . . and lots to drink. Well, he said the man was dead, and there wasn’t much use in mourning too much for him. Living had to go on. Have a good time and live just the same. And that was the “Dead Man Blues.” And, as Anita told us, it had a pretty lively character to it. They didn’t believe in too much sadness at a New Orleans funeral. Anita you, er, . 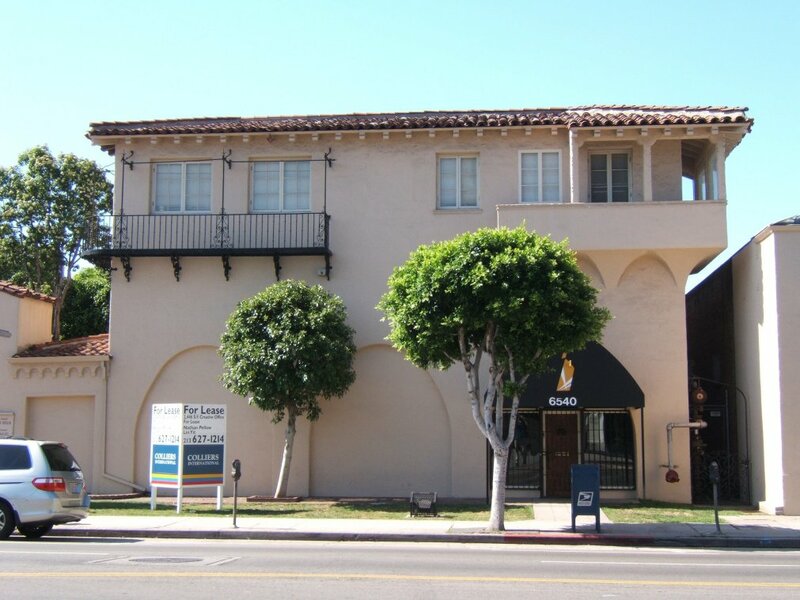 . . Jelly lived here many years in Los Angeles. Is that correct? And, er, you were with him during that time? “The Pearls,” one of Jelly’s best-known and most attractive compositions, illustrates the point nicely. Even in its published form, that is, as a printed sheet of music, it is remarkable enough. But as Jelly plays it, it’s soft, sweet with plenty of rhythm, it becomes intricately beautiful. And I do think that this is one of his most beautiful compositions. He, er, certainly was inspired here with lots of melody. So, er, do you have anything so say about “The Pearls”? No, I’m afraid I don’t quite remember that. Uh-huh. You don’t know where the name came from, do you? No, I, I . . . I don’t remember. Anita . . . you, er, come from quite a musical family yourself. Er, a lot of our [clears throat] listeners, I, er, know, may not know it, but, er, you have two — at least two that I know of — very musical brothers. One, the famous Dink Johnson, and, er, and Bill Johnson. Bill, I understand, is in Mexico City right now. Is that correct? He’s playing bass down there? Yes, he’s playing bass violin down there. Uh-huh. Do they have, er, just, er, a dance orchestra, do you know, or they have a jazz band? Uh-huh. [both laugh] That’s . . . that’s what he likes to play the best, considering. And Dink, of course, is in Santa Barbara. Is that right? He’s, er, really one of the first, I guess, old-time New Orleans jazz musicians. He plays many instruments, doesn’t he? He plays, er, drums and, er, clarinet, saxophone and piano. Uh-huh. I heard, er, only on piano, I suppose on records. I never heard him play clarinet or drums. But I have seen pictures of him [clears throat] in bands, er, where he was a drummer. Yes. I remember when he was, er, oh, about nineteen. He’d taken a prize here for being the best jazz drummer at that time. Is that right, here in Los Angeles? Right here in Los Angeles. When he was nineteen years old? He showed talent at an early age. Well, I, er, I like Dink’s piano playing myself. Er, he plays in many ways, er, a lot like Jelly. Er, he plays very good rag . . . what we call ragtime piano. And I understand he enjoys playing it too, even right up to this day. If anybody does get through Santa Barbara, why. they can look Dink up, and he’ll be glad to play for ‘em I know. 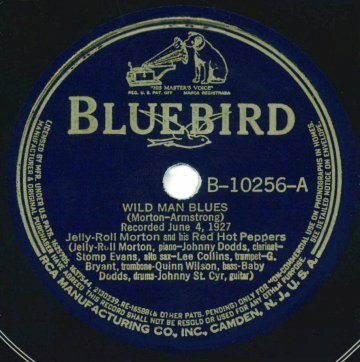 Well, this next tune, er, I don’t know whether you know anything about it, or not, it’s “Wild Man Blues.” And, er, it’s always credited to Jelly and Louis Armstrong, er, as a co-composers. I often wondered about that whether you could shed any light on it, how Jelly and Louis got together to compose this one tune? Well, I was with Jelly many, many years and I’ve never known him to even play with . . .
That’s, er, pretty much what I had thought too. Dink has played with him. I don’t know of . . .
It’s a funny thing on these record labels — I mean, I’ve seen even the same tunes on two different records credited to different people, so you never can tell by the label. At any rate whoever did it, this, er, “Wild Man Blues” is a very fine tune, and I think Jelly’s version is one of the best. It includes Johnny Dodds on clarinet and George Mitchell, again on cornet, and has a little humourous introduction. I think Jelly, who had a pretty good sense of humour, because many of his records, er, show it. Is that right? Yes, it is correct . . .
. . . he was very humorous. Well, let’s listen to “Wild Man Blues” then. And that was “Wild Man Blues” . 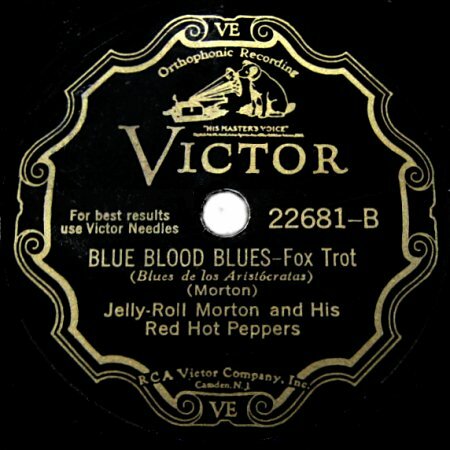 . . by “Jelly Roll Morton and his Red Hot Peppers.” Anita, er, did Jelly collect his own records — I mean did he keep many of them around the house? Yes, he had quite a few. And when he passed . . . he had, er, oh, about three-hundred. All of his own compositions . . .
. . . of his own band? I see. Well, that’s very interesting. And, er, do you still have those records today? Well, it’s time now for a station break, and we’ll turn over to Dean for a minute. Well, thanks very much DOCTOR JAZZ. We’ll continue with you and your certainly very interesting interview this evening. And it’s certainly a pleasant surprise to have Mrs. Morton here with us. You’re listening to the recorded presentation of DOCTOR JAZZ, which reaches you each Saturday evening from ten until eleven. The best in recorded jazz, and we’ll be back in thirty seconds with part two. Stay tuned for that. It’s ten-thirty and here’s part two of recorded DOCTOR JAZZ. Thank you Dean. As you said, it certainly is a great pleasure and a real thrill, I can assure you — and I am sure it is for most of our listeners too — to have Mrs. Morton here with us, because we’ve played so many of Jelly’s records and talked about him so much on the programme. And right here in front of us is the woman who inspired so much of this great music, which we all enjoy today. Er, it must be pretty gratifying to you, I know, er, Anita, to see Jelly getting such recognition, even at this late date. Is that right? Because, er, like many another great artist, er, he didn’t get too much when he was living. And I’m sure that, er, if he were living today, and could see what is happening, why, he would be most encouraged and most thrilled. But er, I know there towards the end, just before he passed away, why, times were pretty tough. And, er, all this has come about in the last nine years. And . . . but that’s the way it goes a lot of times. And meanwhile we’re here, why . . . and nobody appreciates us, and only when we’re gone, people realise the true worth of the . . . their talents. But, er, it must give you a wonderful feeling, I’m sure. This next number’s “Mr. Jelly Lord.” Er, Jelly fancies himself as, er, being presented before the king of England. I’m sorry on this version we don’t have the words, but — and I don’t know whether you’re familiar with it, or not — but, er, he fancies himself as being presented at court in England before the king. And the king liked his piano playing so much that he made him a lord. And now, that was a cute little idea, and again, er, expressing Jelly’s very wonderful sense of humour. But, er, on this record — this is the trio record with Johnny Dodds on clarinet and Baby Dodds on the drums. We didn’t have this record for a long time, but we owe it to Mr. Floyd Levin, the president of the “Hot Jazz Society,” who is sitting right now in the next room. “Mr. Jelly Lord.” Well, even if the king didn’t make Jelly a lord, he should’ve [laughs] I was just saying. Because, if anybody ever deserved it for musical worth or composition, why, he did. Er, Anita, you still live in Los Angeles, or at least the area, don’t you? Yes, I’m living at, er . . . Santa Monica now. Living out in Santa Monica . . .
. . . or Malibu?
. . . Malibu. Yes. So it’d be more correct? And I understand you have a little, er, er, motel out there. Is that right? Yes, I do have one out there. Well, if any of our fans are listening and have need for a night’s lodging, or something out there, why, Mrs. Anita Morton Ford — Mrs. Ford at the present time — er, runs the Topanga Auto Court out in Malibu. Well, we mentioned before when we played the piano solo of “Kansas City Stomps” that, er, Jelly always believed that a piano should sound as much as possible like a band. So now we’re going to play the band version of “Kansas City Stomps.” And I think that, er, this is one of the best records he ever made with a band. It’s such . . . well, it’s such a wonderful tune to begin with, don’t you think? And, er, the band just plays with such marvellous inspiration here. Of course, I understand in his recording sessions that he told the musicians pretty well what to play and told them how to play it. And all of his records show the stamp of his genius on history. Anita, er, let me ask you this. Jelly, of course, lived in Los Angeles we know for many years and played here too, I believe. Do you recall the, er, the names of the places he played here in town? Well, I don’t remember any of the places. I don’t remember the names . . . Yes, it’s been quite a long time. I lived in Oregon for the last twenty-three years. And, er, so much of the things that were going on here in this town, I have forgotten. Yeah, well they’ve changed, I guess, so much anyhow. Los Angeles, even in the last ten years has . . .
. . . changed quite a bit. But er, you just recently returned to Los Angeles, and is that . . . Yes, I have been living here for . . .
. . . after living in Oregon? A . . . quite a few . . . I have . . . I hardly know the city. That’s right, because I’ve been here permanently now, er, ‘bout four years and I can . . . I know certain sections of town out in the west side particularly, er, used to be fields just four years ago and are now all built up. But, er, we have quite a few musicans in town now, er, some of the old musicians from New Orleans. Zutty Singleton and Albert Nicholas, the clarinetist. Now, Albert plays on this next record — that’s why I brought him into the conversation at this point. Er, he played, of course, many years ago down in New Orleans with bands like King Oliver. And he made many records with Jelly. In fact, some of the last records that Jelly made, er, in nineteen . . . Oh, Sidney Be . . . [inaudible comments] . . . for a Bluebird date . . . 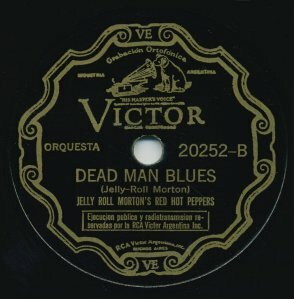 But, er, this number I think is one of the best, not only, er, for Albert Nicholas, but it’s one of Jelly’s nicer records too. It’s called “Blue Blood Blues.” And I don’t know just what time it was composed, what year, but it plays from one of his best periods. [inaudible comments] . . . tonight to have the lady who inspired so much of Jelly’s melody — Mrs. Anita Morton. Er, this next number is again from the Library of Congress. And er, it’s one of the reasons I always suspected that Jelly Roll had a great sense of humour, because it’s the only time this tune has ever been done to my . . . that is on record, and that’s “The Animule Ball.” Er, that’s from a very early period though. I guess you remember something about this one don’t you, Anita? Oh, yes. I remember quite well about that, when he was writing it. Uh-huh. Because, er, I don’t know just where he got the idea for this thing, but it certainly is wonderful. Well, I can’t say that I remember either, because, er, he would, er, seem to have a mind to just sit up and think those things, you know. Hear any little thing and then he’d add it together and, er, just make something out of nothing. Uh-huh. Did it take him very long to write it . . . some of his compositions? Or did he . . . It would take him almost ten minutes. Some of the most wonderful things anybody’s . . .
. . . ever heard. Yes. He’d, er, get an inspiration. He stayed in bed . . .
And would wake up just with that, er, inspiration and start, er, tapping on the piano. In about five minutes he had it all finished out. He’d write it as he thought. I’ll be darned. Well, this, er . . . The night he wrote “The Animule Ball” he must have been dreamin’ about animals, I guess. [laughs] That’s, er . . .
Oh, he talked about the lions and elephants and giraffes, but he really works it up into something quite entertaining. And, er, as he said, nobody else probably ever did this number, because he was the only one that could do it. I think, er, you mentioned there that Dink does it? Dink plays it and sings it . . .
And, er, . . .
. . . very well, very nicely.
. . . I think Bud Scott, er, who used to play with the Kid Ory band, he used to sing it once in a while, too. Yes, he did, on his guitar. Of course, Bud was from New Orleans. Maybe you knew Bud . . . I did . . .
. . . down in New Orleans?
. . . I knew him very well. Uh-huh. That’s, er . . . I saw him just before he died. 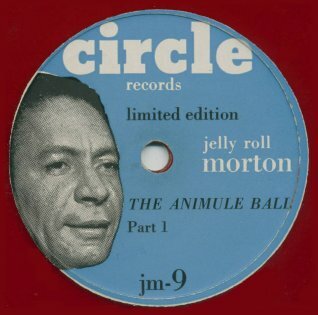 Well, let’s listen to “The Animule Ball.” This is a two-sided version and a little lengthy. So, let’s go. Well, we’ll leave . . . we’ll leave Jelly alone there with “The Animule Ball,” because we have one more number we’d like to get in tonight, and that is “King Porter Stomp.” Certainly, I guess, his most famous composition — at least from the standpoint of the orchestra world, and the, er, jazz fans in general. Of course, this tune was taken later by Fletcher Henderson and arranged for bands such as Benny Goodman and Fletcher Henderson’s own band. And I . . . almost every band that tried to play jazz at all, or tried to play hot, was playing “King Porter Stomp.” And it was named after a friend of Jelly’s by the name of Porter King . . . fellow, er, fellow musician from the early days down in New Orleans in the South. Did you happen to know Porter King, Anita? Uh-huh. But when Jelly wrote the tune, why, he twisted the name ‘round and called it “King Porter Stomp.” And, er, he says he doesn’t know why he called it stomp himself, except that most people stomped their feet to it when he played it. And I don’t blame them, because that’s what it does to me, too. [spoken over tune fade out] Well, we just hate to break into that wonderful version of “King Porter Stomp,” but time is short. We’re gonna have to have to get off the air. Anita, we don’t know how to express our thanks for having you come up tonight. And it certainly was wonderful of you. And I know . . . Note: See also the excellent article: Anita Gonzales and the Untold Story of Jelly Roll Morton’s Last Years by Floyd Levin. Note: Readers are recommended to consult the in-depth article: Mamanita and the Mysterious Johnsons by Peter Hanley. Anita Gonzales — Anita Gonzales and the Untold Story of Jelly Roll Morton’s Last Years by Floyd Levin. Classic Jazz — A Personal View of the Music and the Musicians by Floyd Levin, University of California Press, November 2000, 358 pp. Mr. Jelly Lord — Laurie Wright, Storyville Publications, Chigwell, Essex, 1980, 256 pp. Mister Jelly Roll — Alan Lomax, Duell, Sloan and Pearce, New York, 1950. Page references are to the University of California Press 4th edition 2001, (Soft Cover) 344 pp. 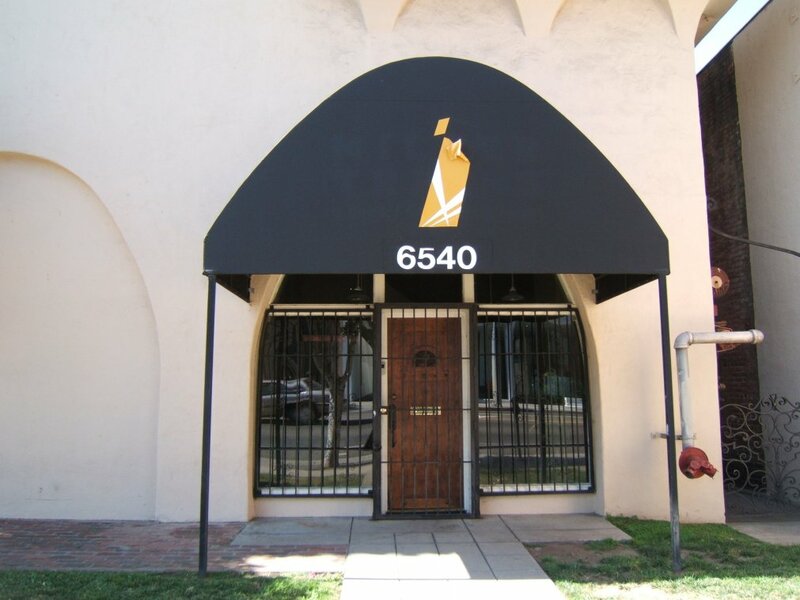 Gary Rametta — Letter to Mike Meddings, 19th July 2006, with photographs of former radio station Building and Entrance at 6540 W. Sunset Blvd., Hollywood, California. Floyd Levin — Letter and information to Mike Meddings, 20th July 2006. Brian Goggin — Letter and information to Mike Meddings, 15th October 2008. 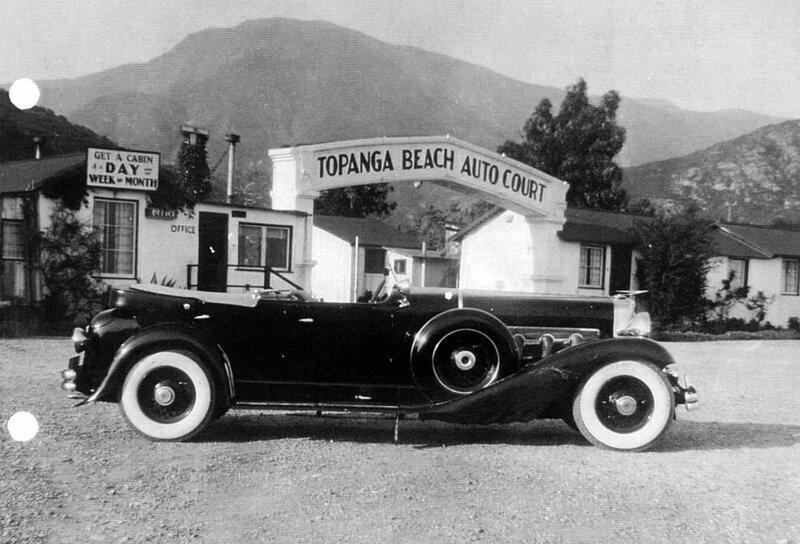 Topanga Beach Auto Court — Photograph of Topanga Beach Auto Court (1939) located at the mouth of Topanga Canyon and the Pacific Coast Highway, Malibu. Courtesy of Ami Kirby of the Topanga Historical Society, together with Robert G. Marshall and Jessica Holada of the Special Collections & Archives, Oviatt Library, California State University, Northridge, California.